If you are planning a visit by boat along the Lake Titicaca, make sure to book a tour that includes the Uros Islands. Only around 5 km from Puno, the Uros people live on artificial floating islands that are made out of totora reed. They have lived there even before the Incas and still follow the ancient lifestyle and traditions. The islands are not the only thing made out of reed, even their boats and houses are made out of woven totora reed. While their daily tasks include fishing, renewing islands and more, nowadays, tourism is a great part of their life. 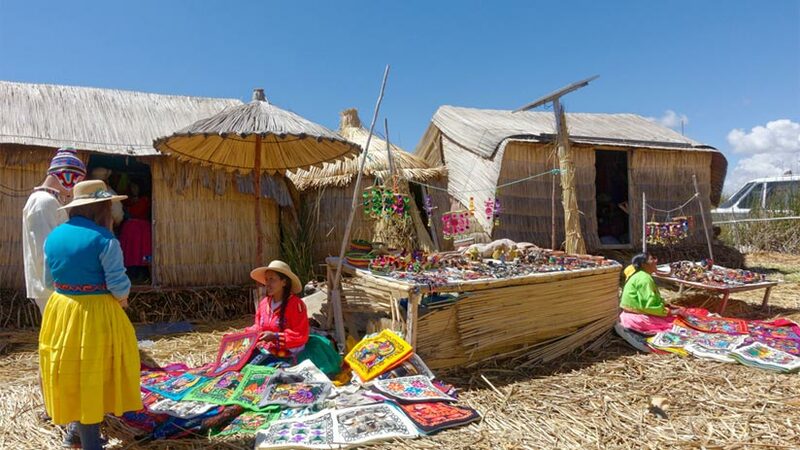 While visiting the Uros islands Lake Titicaca they will teach you about their daily life and you can purchase some beautiful handicrafts. If you have more time you can even stay a night at a local family to get a first-hand experience. 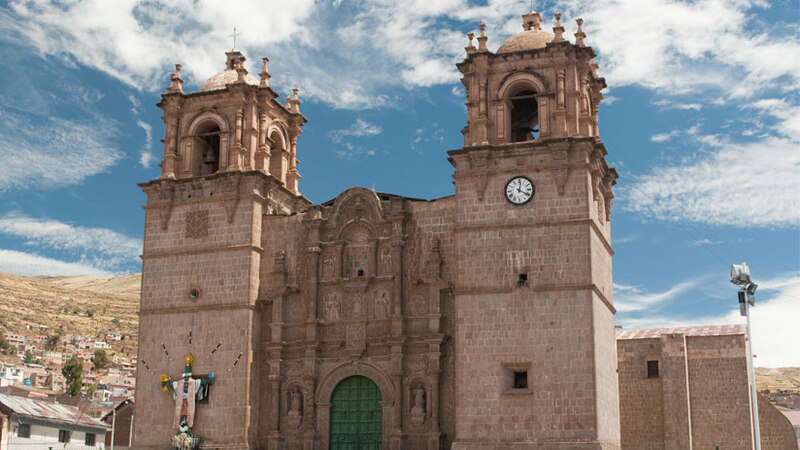 Located in Puno’s city center is a Colonial cathedral, finished in 1757 and largely designed by mestizo artist Simón de Astro. While the façade is remarkably impressive, the inside, on the other hand, is not so. Unfortunately, the interior was severely damaged due to a fire in the 1930s. However, you can still admire the grand altar inside. 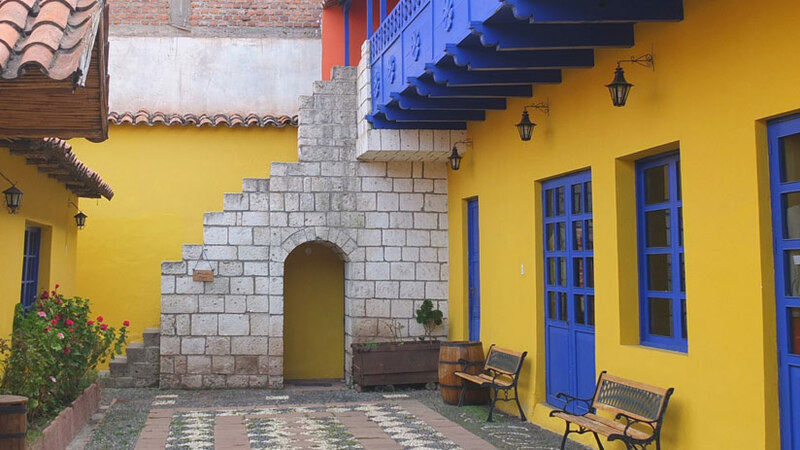 This small house in bright-yellow with a lovely blue balcony, just across from the Cathedral, is one of the oldest and last examples of Colonial architecture in Puno. Now, it hosts a fair trade artisanal shop as well as a charming café. In the evening you can visit and enjoy some delicious local craft beer and tapas. If you are looking for more things to do in Puno, what about the Jirón Lima? It is a pedestrian street that is filled with cafés, restaurants, travel agencies, shops, hotels and bars. You can easily get from the Plaza de Armas, the main square, by heading north. This lively street is perfect for a relaxing afternoon stroll through the city. Furthermore, it links the main square to the Parque Pino. This park was created in 1901 in honor of Dr. Manuel Pino, a local who was regarded as a hero in the war against Chile. 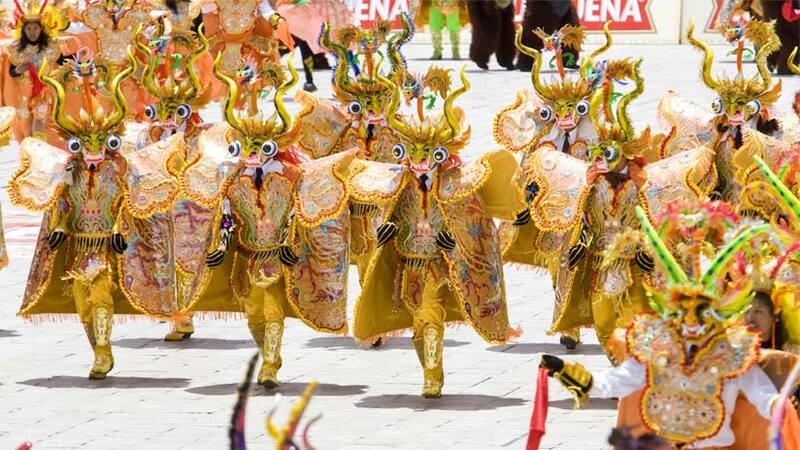 On your list of things to do in Puno the Festival of La Virgen de la Calendaria should definitely not be missed. Taking place in early February, this two-week festivity is full of religious processions, folkloric dances, costumes and an incredible amount of alcohol. It is believed that during the great Tupac Amaru rebellion against the Spaniards in 1781, the Virgin protected the village inhabitants from the besiegers. Now, it is celebrated with people from all over Peru watching the grand opening dance competition, dance rituals and enjoying the accompanying music. It is a unique sight to see and definitely worth being part of the event, so consider a festival Virgen Candelaria Puno tour. 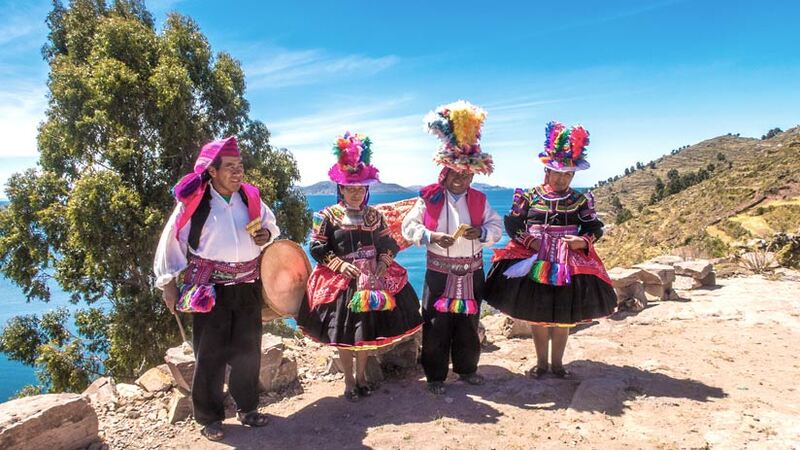 If you have a whole day to be spent at the Lake Titicaca, add a visit to Taquile Island. The island with its terraced slopes and stone paths offers a stunning view over the dazzling blue of the Lake Titicaca. The men on the islands are experts in knitting beautiful textiles of remarkable quality, the women weave colorful blankets. 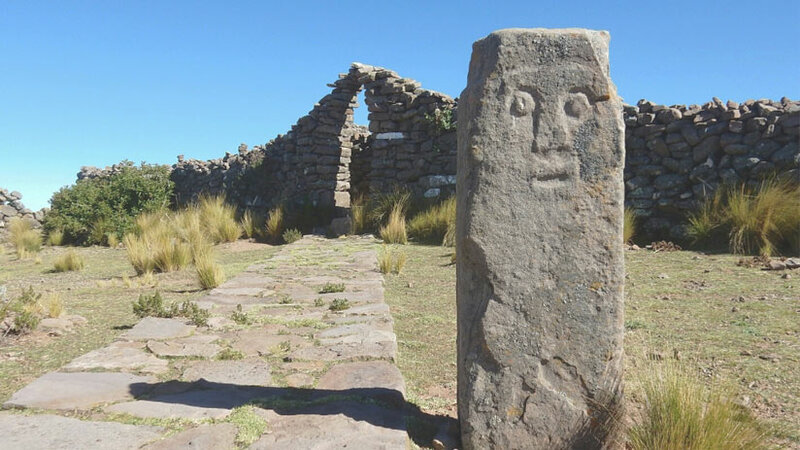 Taquile is considered an UNESCO World Heritage since 2008. 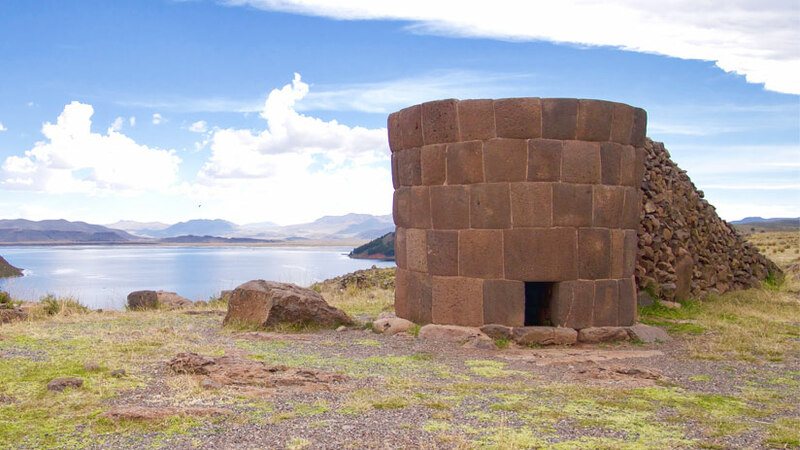 Around 30 km from Puno lies Sillustani where you can witness lines of chullpas, which are funerary towers. They belonged to the Qolla people that were defeated by the Incas a long time ago. The Qollas used to bury their noble deceased in fetal position together with food and their personal belongings for their journey into the other world. Unfortunately, some of the chullpas are in extreme disrepair due to grave robbers and lightning. Usually, tours start in the afternoon, so by then it will be very crowded. You can also easily get a taxi and go there on your own in the morning to avoid the crowds. Lake Titicaca draws in countless people each year for a visit. The vast view and the Lake Titicaca mystery make it undoubtedly a must-see destination while your stay in Peru. It is believed that the Sun God Tayta Inti, also known as “Padre Sol”, has sent Manco Capac and Mama Ocllo with a golden scepter to end the disorder in the world and look for a place to start a new empire, the Inca Empire. Both, it is said, have risen from Lake Titicaca. Peru Activities, Travel To Peru culture, festivities, floatinng islands. permalink.